Strong but safe acidic cleaner. Removes light to heavy concrete and mineral deposits from mixing trucks, scaffolding, forms, tools and more. Excellent Efflorescence Remover, Oxidation Remover & Gutter Cleaner. Non Corrosive. No need for dilution. Spray directly on affected areas. Allow a few minutes dwell time but do not allow product to dry on surface. Apply a second coat if needed. Spray off with pressure washer. 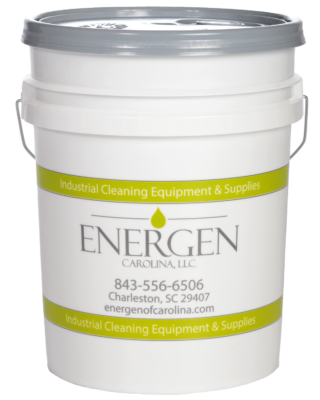 This eco friendly product ranges from an all purpose cleaner to a heavy duty industrial degreaser. Emulsifies heavy grease, soap scum, rubber burns, floor finishes, black heel marks, dirt, printer ink and carbon deposits. Continues to perform well under high use dilution ratios. Natural Orange is eco-friendly, non-flammable, contains no hard abrasives and is non-corrosive.